Humans are fond of weaving narratives like doilies around gaping holes, so that the holes won’t scare them. And objects from premodern history—like medieval manuscripts—are the perfect canvas on which to project our worries about the difficult and the frightening and the arcane, because these objects come from a time outside culture as we conceive of it. 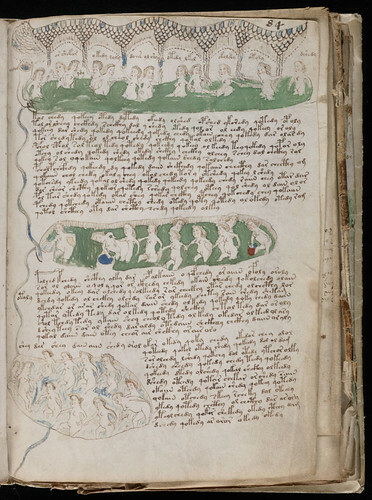 This single, original manuscript encourages us to sit with the concept of truth and to remember that there are ineluctable mysteries at the bottom of things whose meanings we will never know. 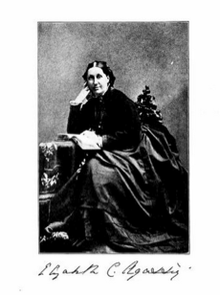 As we muse on mysteries, we might send bucolic birthday wishes to Elizabeth Cabot Agassiz (née Cary), the naturalist and educator who was the co-founder and first president of Radcliffe College; she was born on this date in 1822. After the death of her husband, Swiss naturalist Louis Agassiz, with whom she traveled on scientific expeditions, she settled on the idea of college for women in the “Harvard Annex” in Cambridge; in 1894 the Annex became Radcliffe College. She served as its president until 1899, then honorary president until 1903. Her books include A First Lesson in Natural History (1859), and A Journey in Brazil (1867).